This is my second month with the Secret Recipe Club. How’s it going, you ask? You really want to know, now don’t you? I’ve been cooking since the beginning of time and blogging about it almost as long. Most of the participants that I have checked out, and admittedly that is just the proverbial ‘tip of the iceberg’, have not. Many of them appear to be youngish with small children. Many of them appear to be relatively new to the kitchen. The bloggers with kids tend to gravitate towards cookies and cupcakes and such which I rarely, if ever, make. The bloggers that are new cooks tend to be, well, new cooks. 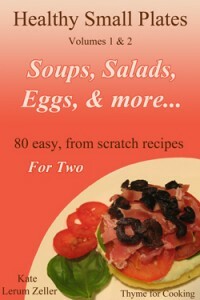 Which means that I have to search a bit to find a recipe that both appeals to me and works for cooking for a diabetic. And I am thoroughly enjoying the searches. Rather than just pulling up the index, scanning, clicking and printing I’m having a leisurely stroll through the blogs and it’s fun. It’s also fun to get recipes from cooks who were not taught in the same way by the same generation as I was. Remove 1/3 of the sauce for finishing. Spoon the remainder over the chicken. Allow to marinate 10 – 15 minutes or up to 4 hours in the refrigerator. Cook chicken on barbecue grill for 7 – 10 minutes per side, or until done, basting once, before turning, with marinade. When chicken is done, remove and slice. Spoon reserved sauce over the top and serve. As I cook for two, I made a few changes. 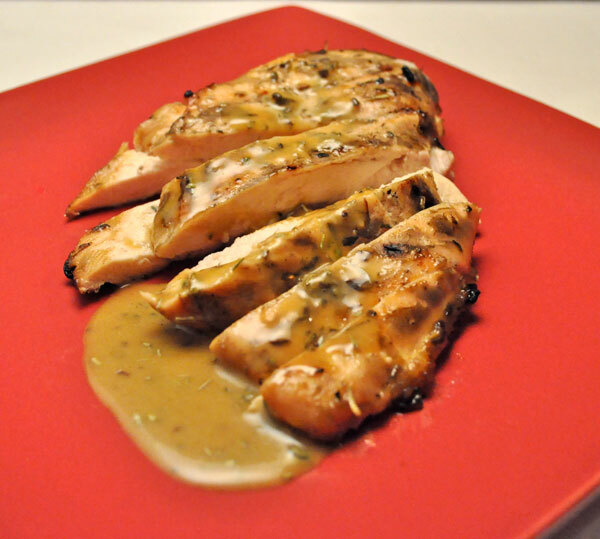 Here is her original recipe: Honey Mustard Chicken. by Cheese with Noodles. She recently posted a Pepper Parmesan Vinaigrette that sounds delicious as well. Cheese with Noodles is written by Anna, who lives in Alaska with a husband and a menagerie of pets, including a Great Pyrenees puppy…. Woman after my own heart. She has a lot of delicious-sounding recipes, including a long list of pasta dishes that had me drooling. I’ve decided that even if mon mari would rather not eat pasta (ahem) I’m going to start making ‘pasta for one’ and he can just be jealous. He’s an adult…. He can handle it. I am liking what I see – some of those ‘secret recipes’ could be done even here where availability of items dictates cooking along with how hot the day is !! So pleased your enjoying the club Katie – I also love that we’re all so different in our styles and taste buds. I personally don’t eat gluten or sugar for health reasons, so it can be hard work finding a recipe to suit my needs, but it’s also a lot of fun digging through all of the wonderful recipes. This chicken looks wonderful. I’ve been enjoying chicken breasts recently and how easy and versatile they are. My kids would gobble this up!! Kate, availability is also an issue for me – not of fresh foods, but often with stuff that goes into baked foods. Chit Chat Chomp, digging through the blogs is half the fun! bcmom, we eat a lot of chicken breasts – and in summer they’re all done on the grill. danielle, always good when the kids are happy! I had a not unsimilar experience with the event “Taste and Create”. I use commercial mayo for cooking…. and never worry about it. Eggs are good!